(IsraelNN.com) A 29-year-old Israeli was murdered in a shooting attack in Samaria around 11:00 pm Monday night. Palestinian Authority terrorists fired on the man as he drove past the village of Funduk, near Kedumim. Paramedics who arrived at the scene were unable to save the man’s life. The victim of the Arab terrorist attack near Kedumim has been identified as Ido Zoldan of Shavei Shomron. 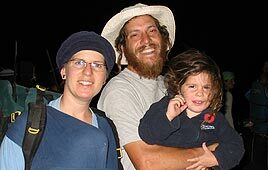 Zoldan is survived by his wife Tehila and his two small children, three-year-old Aharon and one-year-old Rachel. The family moved to Shavei Shomron after they were displaced from Homesh in the Disengagement of 2005. 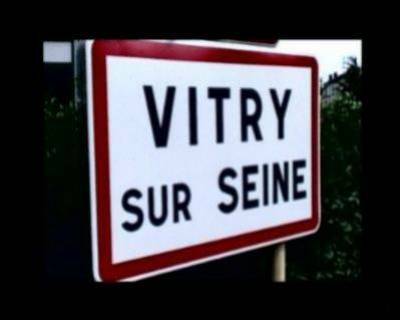 He was alone in his car when the terrorists drove their vehicle past and opened fire. Soldiers summoned to the scene closed off nearby roads and began searching for the attackers. According to initial information, a terrorist cell was waiting in ambush in the area for Israeli vehicles. When the victim, who was riding alone, came into range, the enemy attackers sprayed the vehicle with gunfire. The driver was critically injured, with multiple gunshot wounds, and he apparently died within minutes. The Fatah’s Al-Aqsa Martyrs Brigades said it carried out the attack to demonstrate its opposition to the planned Annapolis, Maryland conference. IDF officials have warned that terrorists will increase their efforts to harm Israelis during the days leading up to the meeting. The conference will be held at some point in the next 30 days, which, according to recent reports, could mean as early as next week. At around the same hour as the fatal shooting attack, in the south of the country IDF forces prevented an apparent attempt by PA terrorists to infiltrate Netiv Ha’asarah, a Jewish communal village adjacent to Gaza. Around 11:30 pm Monday night, soldiers spotted three armed terrorists making their way towards the separation barrier between Netiv Ha’asarah and northern Gaza. IDF forces opened fire at the PA terrorists and a gun battle ensued. Two of the terrorists were killed and one wounded. No soldiers were injured in the incident. Quando la disinformazione è un’arte….